Nearly every Republican tried to steer the conversation away from Russia and towards leaks and unmasking. Even Graham spent an awful lot of time on the latter. These guys are running scared, and, I think, rightfully so. Look at the upper left corner. 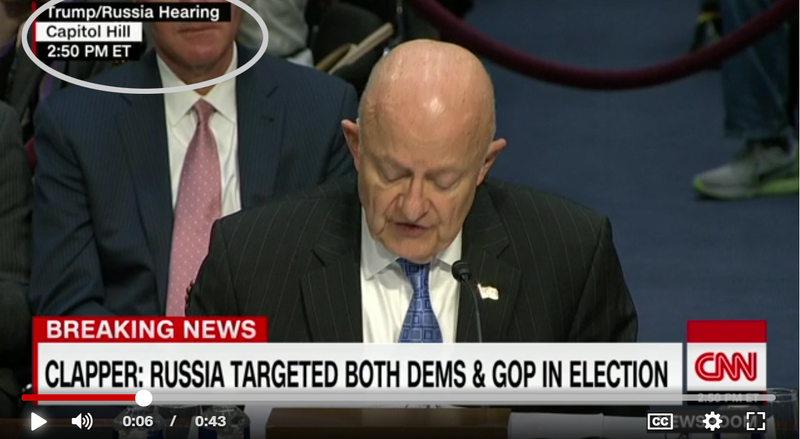 The Republicans might be pretending that this isn't about Russia, but CNN isn't. It's practically "#TrumpRussia"! This may take a while, and in fact, Trump may not be removed from office for it, but whatever comes of it will leave the Republicans smelling like a field of manure on a 100 degree day. For once, we're not playing on their turf. The night's not over, and he's already sent out six Tweets on this topic today.